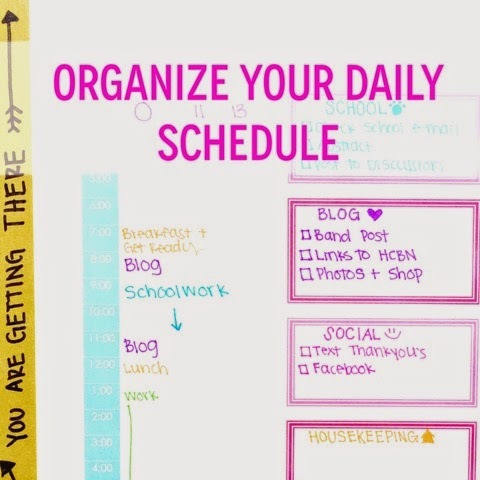 Organized Charm: How To Prep Your Planner for Finals (NOW)! 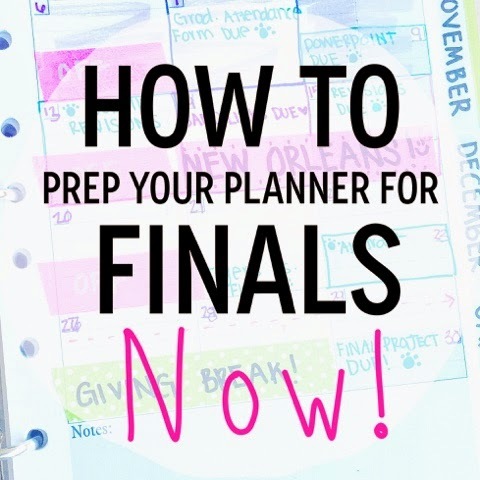 How To Prep Your Planner for Finals (NOW)! Regardless of whether you spent $50 on an EC planner or $5 on a Target planner, when Finals week rolls around, you are going to depend on that thing like oxygen. Study guides, groups, vocabulary terms, formulas, research papers... finals week is full of expectations and pressure. Sometimes it can be a little tough to deal with (haha. just kidding. it's always a little tough to deal with... unless you don't like sleep). So what can you do now to prep for it? Plan for it! Year after year, my planner has been my saving grace during finals! Here's how! 1. 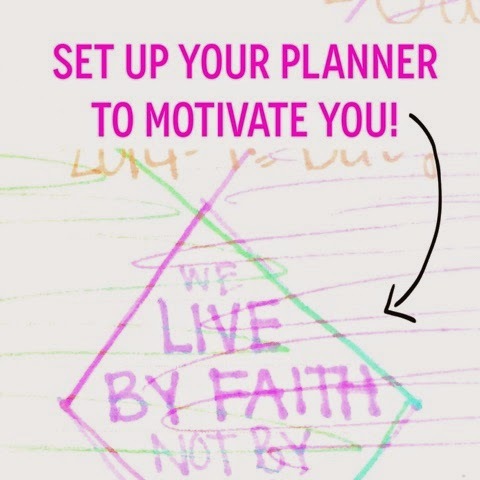 Set Up Your planner so that it motivates you daily. If you follow me on Instagram or Pinterest or Twitter or Tumblr, you may have noticed that I post a few (thousand) motivational quotes. They are just my favorite! My favorite to read, my favorite to recite to others, and my absolute favorite way to start my day! Go through and write one for each week. On those weeks where you need a little extra boost of encouragement (AKA FINALS WEEK), the right mantra/quote/verse can really make a difference in your attitude! 3. Prepare your daily schedule. By now, you should be in a "semester routine". You should be pretty aware of when/where you do your best studying. When you need to leave to get to class/work on time. How much time it takes you to complete writing assignments, etc. Since you're already pretty in tune with your daily routine, go ahead and schedule out the time of day that you will set aside for studying. 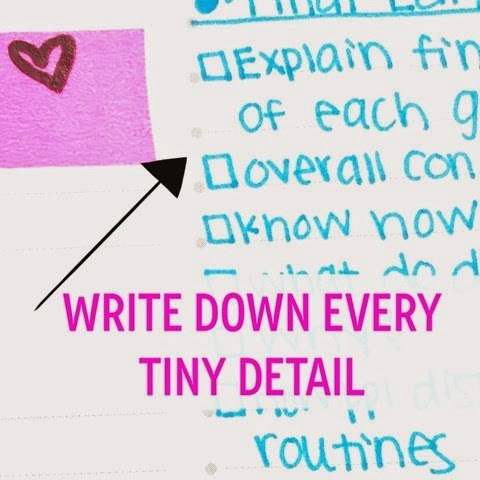 If you know you'll need to add extra study time before finals, get your low priority tasks done now so that you'll have less to do then! 4. 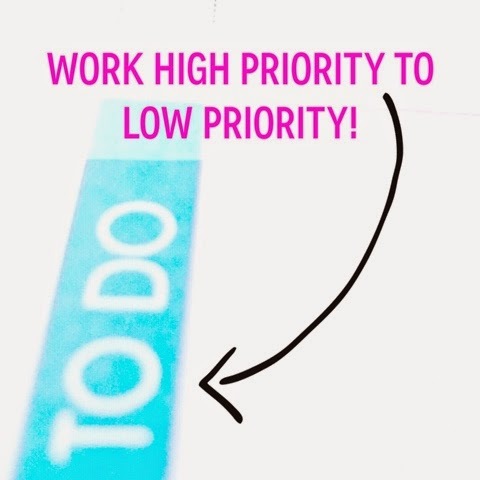 Work high priority to low priority. I read SO many articles on productivity! And in nearly every single one, one of the top tips is to "eat the frog". Which is a term I'm not crazy about (for obvious reasons). However, I do love that advice! It means to pick the biggest, hardest, scariest task on your list (the one that's causing your procrastination- or will if you put it off long enough) and just attack it! If it's super huge (like studying for a certification exam), just spend 1-2 hours on it at the beginning of your day! If nothing else, you'll feel accomplished! 5. 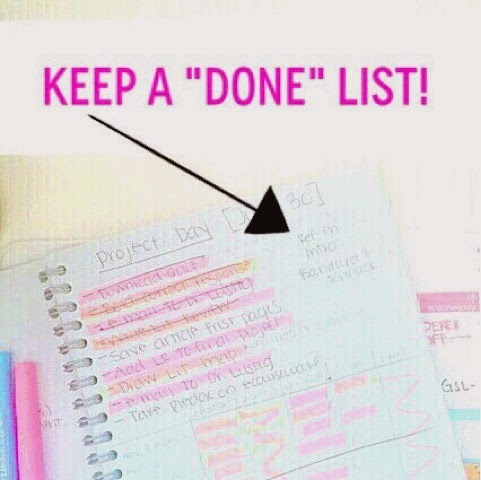 Keep a "Done" list. Something that's super helpful for me when I'm beyond stressed is to record the time that I finished each task. This is good for a few reasons: it makes me feel happy to see what all I have done (for those discouraging days when it seems like the "to-do" list is eternal), it also helps me to reference those things in the future (email Emily email sent Monday @ 8:04), and it helps me know where to start next time (Read Ch. 5 pick up @ pg. 322). Best of all, this keeps me moving from task to task throughout the day! 6. 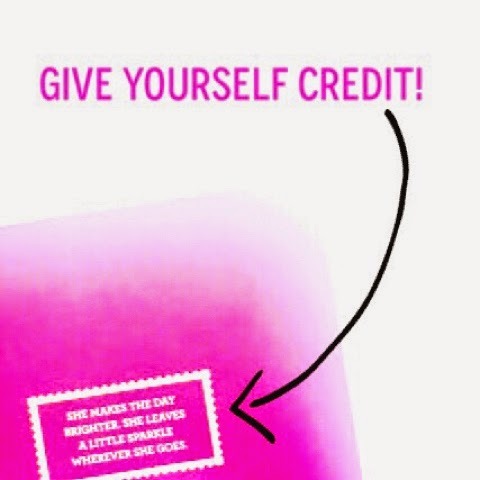 Give yourself credit. This is definitely something that I got into the habit of doing in grad school. In reality, the to-do list is never going to end. It's like a carousel of things that just keeps on coming at you. And that's fine because it also means you're accomplishing a lot! Try to give yourself a "shut down" time where you shut down all of your electronics and just go unwind. If you're feeling really discouraged, use a little notebook to write down some praise for yourself! (I am proud of myself for...) It feels silly but I promise it helps! (I can't stop myself with the quotes). Do you have any tips for finals week? How do you unwind after studying (if you do)? Do you have any strategies to add to the list?